the UNESCO as a world cultural heritage. Cambodian territory while facing the Thailand border. It was built during the Khmer dynasty (6th to 15th century) on top of a cliff. scenic beauty in this world, hence its name : “The floating temple”. 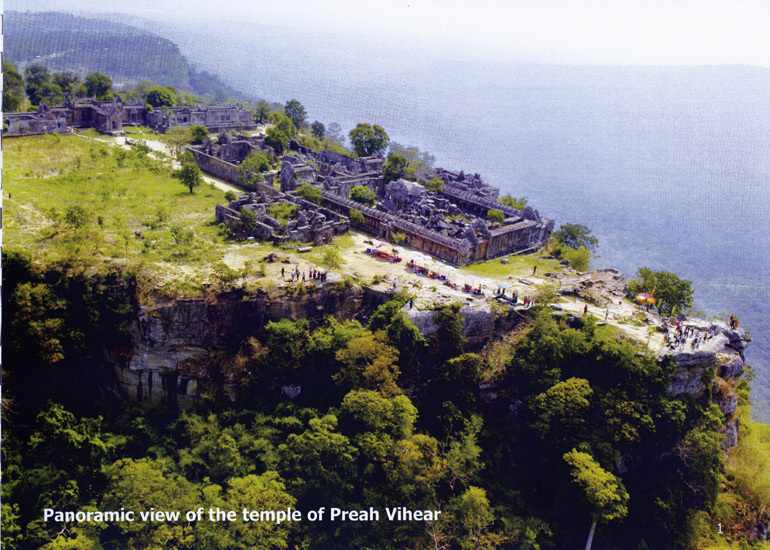 The Preah Vihear temple has been at the centre of a border dispute between Thailand and Cambodia for more than a century. commissioned Cambodia’s most famous temple at Angkor. leaving Cambodia’s only access to the temple up a steep hillside. Tensions increased in July 2008, after Cambodia’s successful bid to have the temple listed as a World Heritage site.